​Real Madrid are reportedly open to the idea of selling Marco Asensio; an idea which has put some of England's biggest clubs on notice. One of the world's most highly rated young attackers, Asensio has failed to impress under new manager Julen Lopetegui as Real Madrid have struggled in La Liga so far this season. Despite sigining a six-year contract extension in 2017, ​Madrid may be willing to cash in on one of their most valuable youngsters, if one report from Marca is to be believed. Since the departure of record goalscorer ​Cristiano Ronaldo, many had expected ​Asensio to help fill the void left by the Portugese star. However as he and Real have struggled, they could be set to cash in - if his £100m valuation is met. According to Marca and reported by ​​The Mirror, Europe's biggest clubs have been sniffing around the Spanish international. English contingent ​Chelsea, ​Liverpool and ​Manchester United would all be interested in signing the 22-year-old, whilst French giants PSG are also said to be monitoring the situation. Asensio himself may be reluctant to leave the club, as he's committed to staying at Real. 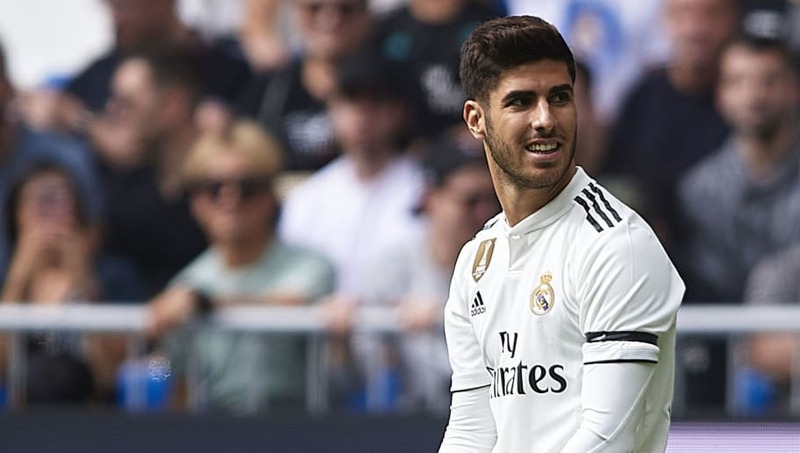 "I've never had the intention to go anywhere," Asensio has previously said. "This is my third season. In this one I think I have continuity and more prominence, and I'm seeing [improvement in] the performances I'm doing." Asensio just one goal from 10 shots in 821 mins so far this term - AS pointing out this morn that last season he scored once every 3.1 shots / one every 260 mins.